Restaurant Week is an eleven-day celebration of South Carolina’s cuisine at hundreds of participating restaurants, including Mr. Friendly’s and our sister restaurants, Cellar on Greene & Solstice Kitchen! Starting Thursday, January 8th and running until Sunday, January 18th, you can enjoy a three course dinner at Mr. Friendly’s for only $30 per person! While some menu items will change daily, you can expect a mix of our classic dishes like the Fried Green Tomato & Pimento Cheese Appetizer, Peach-Mustard BBQ Glazed Salmon and Caramel-Pecan Fudgecake, plus a mix of daily specials sourced from local purveyors. We hope to see you during 2015’s Restaurant Week! Cellar on Greene & Solstice Kitchen, will be participating in the annual Restaurant Feast! From July 11th – July 18th, you can enjoy tons of nightly specials, showcasing S.C. grown ingredients including meats, dairy, eggs, grains, spirits and of course produce, specifically tomatoes! Mr. Friendly’s and our sister restaurants, Cellar on Greene and Solstice Kitchen, will be CLOSED Thursday, July 3rd through Monday, July 7th. We will resume our normal business hours on Tuesday, July 8th. We hope you all have a safe and relaxing 4th of July weekend!! 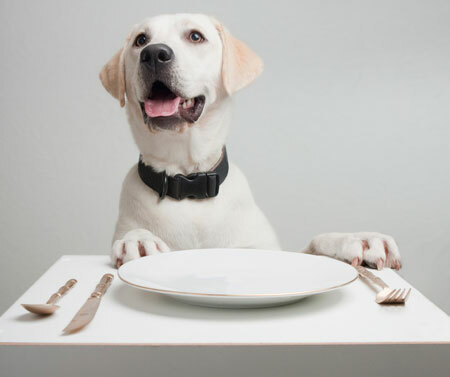 Dining With Dogs is Back! June 2, 2014 / Mr. Friendly / Comments Off on Dining With Dogs is Back! It’s time to take your pup out for date night! We’ve partnered with Pupcakes Boutique to bring you another “Dining with Dogs” patio event! Owners (aka the humans) order dinner from the regular menu, while your dog enjoys a pet-friendly, 3 course dinner prepared by Pupcakes. The cost is $12 per dog and you must make a reservation to attend, as space is limited. To book a spot, please call Pupcakes at (803)467-0171. Reservations are not available through the restaurant. The next date is either Tues, June 17th at Solstice Kitchen or Wed, June 18th at Mr. Friendly’s. Both events start promptly at 6pm. Thanks for reading, and we hope to see you at the next Dining with Dogs event! In observance of Memorial Day, Mr. Friendly’s and our sister restaurants, Cellar on Greene & Solstice Kitchen, will be CLOSED on Monday, May 26th for both lunch and dinner. We’d like to take a moment to remember all of the US soldiers who lost their lives fighting for our country, and to thank those who are currently serving. While it might not seem like much, we will be offering a 20% discount to active duty military and veterans on Friday, May 23rd & Saturday, May 24th, at all three of our restaurants! Just show your military ID to get the discount! We hope you have a safe and relaxing holiday weekend! Soft Shell Crabs Are Back! April 16, 2014 / Mr. 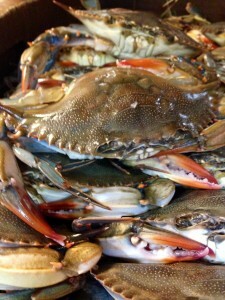 Friendly / Comments Off on Soft Shell Crabs Are Back! These active little guys were delivered this morning, marking the beginning of Soft Shell Crab season! We here at Mr. Friendly’s LOVE these crabs, serving them at both lunch and dinner whenever they’re available. At lunch you can expect to see them Buttermilk Fried, and served on a toasted baguette Po’ Boy style, or on top of a garden fresh salad. At dinner, enjoy them as an appetizer or entree, typically served with our creamy stone-ground grits. Keep in mind, these crabs won’t necessarily be available every day! We get them as often as humanly possible, but make sure to check out our “Food & Spirits” page to see a complete list of our daily specials and keep up with us on Facebook to see if the latest shipment has arrived! March 17, 2014 / Mr. Friendly / Comments Off on Friendly Hour Starts Today! Every Monday through Thursday night from 5:30pm – 6:30pm, at the bar top and patio tables only, you can take advantage of discounted prices on your favorite adult beverages! Plus Half-Off the Bar Menu! As usual, bar top and patio seating is first come-first serve. So grab your friends, coworkers, family and join us for FRIENDLY HOUR starting tonight! Mardi Gras Celebration Starts Next Week! February 24, 2014 / Mr. Friendly / Comments Off on Mardi Gras Celebration Starts Next Week! Mardi Gras is possibly our favorite holiday here at Mr. Friendly’s. Also known as “Fat Tuesday,” Mardi Gras refers to the practice of splurging on richer, decadent cuisine before fasting. And nobody does the holiday better than New Orleans, Louisiana! That’s why for both lunch and dinner we’ll be serving up all that is Cajun and Creole. Creole Jambalaya, Chicken & Andouille Sausage Gumbo, Crawfish Etouffee, Muffulettas, Red Beans & Rice, Fried Oyster Po’ Boys, Sweet Corn Maque Choux, plus Hurricanes & Sazeracs from the bar! Mr. Friendly's is open for lunch Monday-Friday from 11:30am-2:30pm, and then for dinner Monday-Saturday starting at 5:30pm. September 7, 2012 / Mr. 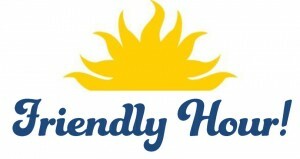 Friendly / Comments Off on Upcoming Friendly’s Happenings! to the Habitat for Humanity organization. representative from Slow Food Columbia to the Terra Madre! In the US, a person dies of suicide every 15 minutes. “Out of the Darkness” Community Walk on October 14th. 25% of all dine-in wine sales will go to suicide prevention . to the Mr. Friendly’s patio for a very special doggie dinner! while you (the humans!) just order from the regular menu. Reservations must be made by calling Pupcakes at 461.0236! Wild Game Dinner & Wine Pairing! May 15, 2012 / Mr. Friendly / Comments Off on Wild Game Dinner & Wine Pairing! Wednesday, May 16th at Mr. Friendly's! For just $22 a person, you can enjoy two delicious Wild Game dishes, served alongside a glass of the 2010 Primarius Pinot Noir from Oregon. Even though, this Wild Game 2-course dinner doesn’t include dessert, we recommend the brand new Mango Springrolls, flash-fried and dipped in cinnamon sugar, served with vanilla icecream for just $8 more. No Reservations Needed. Just show up anytime during dinner service on May 16th and enjoy this great special!